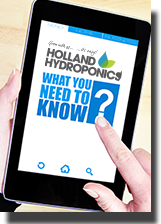 Foliar feeds can be used as a way to either correct deficiencies quickly, give help to damaged roots or to give plants a boost. The leaves are super efficient at absorbing the nutrients quickly, helping you to feed your plant and keep it healthy whilst you correct any problems. Optic Foliar TRANSPORT acts as a delivery agent to deliver the active ingredients to the stomata of the leaves and the mesophyll layer of the layers. Due to an increase in gas exchange, the plants absorb more of the spray solution, enabling them to combat bugs, mould and increase performance. Veg + Bloom Push Foliar is a foliar spray that feeds through stems and leaves to increase chlorophyll production. Push stimulates cell division whilst also providing Calcium and Silica for healthy growth. 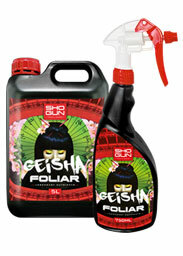 Shogun Fertilisers Geisha Foliar has been designed as an all-round product – working to boost crop growth and yield quality, as well as enhancing flowering receptors. Bio-Wetter is highly concentrated Yucca schidigera extract. Mighty in every way, new Mighty Wash is a must for the specialist gardener looking for a truly revolutionary way to solve common plant problems.